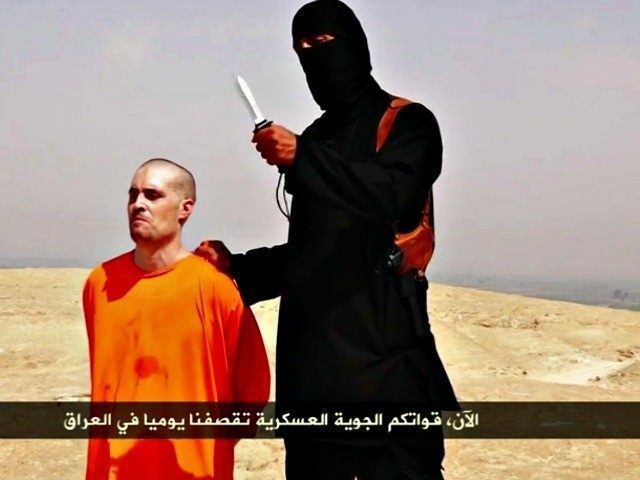 Left-wing politicians, media commentators, and senior Tories are upset that Home Secretary Sajid Javid is not trying to save alleged Islamic State killers from possible death sentences in the U.S. The Home Secretary wrote to U.S. Attorney-General Jeff Sessions to say he would not be seeking assurances that two of the so-called ‘Islamic State Beatles’ — Alexanda Kotey, an Islamic convert from London, and Shafee El-Sheikh, who came to Britain as a refugee — would not face the death penalty if tried in the U.S., according to a leaked letter published by The Telegraph. Javid told Sessions he was “of the view that there are strong reasons for not requiring a death penalty assurance in this specific case, so no such assurances will be sought” — while noting that this would not change the British government’s general policy on the issue. He described intelligence implicating Kotey and El-Sheikh, who are thought to be Islamic State executioners, in the “kidnap and murder of a number of individuals, including three American and two British citizens”. But left-liberals and senior Tories are said to be upset that Javid will not try to bring the jihadists to Britain or refuse to share intelligence with the U.S. without assurances they will not face the death penalty — despite the fact they have reportedly been stripped of their British citizenship and should, therefore, be of no particular concern to the British government. Javid is reportedly facing a great deal of private pushback from senior colleagues — despite ministers having collectively approved of killing Islamic State targets including current and former British nationals in extra-judicial drone strikes — as well as public criticism from leftist politicians. Labour’s Shadow Attorney-General Shami Chakrabarti accused the Home Secretary of “playing with the lives of these particular terrorists” and likened the U.S. — a Western democracy rooted in the English common law — to Iran, an Islamic theocracy which executes its citizens for such ‘crimes’ as apostasy and homosexuality. Despite the near-universal tone of outrage in the mainstream media, however, the evidence suggests the British public still supports the death penalty for certain crimes. In fact, the British political class has been dramatically out of step with the British public on capital punishment since it was suspended for most crimes in the 1960s. It remained theoretically available for exceptional crimes such as high treason and piracy with violence until the late 1990s, when it was effectively banned by the European Union. Public support for the death penalty has been tracked by the British Social Attitudes Survey since 1986, when it found an astonishing 74 percent of respondents still backed it. Support has declined over the years against a backdrop of near-universal establishment condemnation, with the media making much of the fact that it dipped below 50 percent in 2015 — although support was still substantially greater than opposition once ‘Don’t Knows’ were excluded, suggesting it would likely be reintroduced if it were ever put to a referendum. Moreover, popular support for the death penalty tends to increase when the public’s mind is concentrated by a particularly gruesome crime — for example, it jumped to almost two-thirds in favour in 2013 after off-duty soldier Lee Rigby was run over and partially beheaded by two radical Islamic extremists. Critics of capital punishment suggest it represents an unacceptable risk to innocent life, but the evidence suggests the alternative of ‘life’ in prison does not eliminate this. Imprisoned killers who might have been sentenced to death before abolition can still kill other prisoners or prison staff, or even ordinary members of the public if they are able to escape custody — as several killers have. The number of murderers who have been paroled and gone on to kill again also appears to be far larger than the number of people whose death sentences have been posthumously quashed, with Tory heavyweight Lord Tebbit telling Breitbart London that 47 people have lost their lives to killers released from prison in England and Wales over the last ten years. Leaving terrorists alive also risks inspiring sympathisers to mount deadly efforts to secure their release — for example, French police hero Arnaud Beltrame and several others were killed by Islamic extremist Radouane Lakdim after he took hostages and demanded the release of Bataclan killer Salah Abdeslam.